When we first heard Flappy Bird was removed from the App Store and the Google Play Store, we felt like we just crashed into a green pipe. Lovers of the game which had turned addictive could not believe the news but it was true and the game has been taken offline. In a recent interview, Flappy Bird's developer Dong Nguyen gave the real reason why he took his amazing game offline. 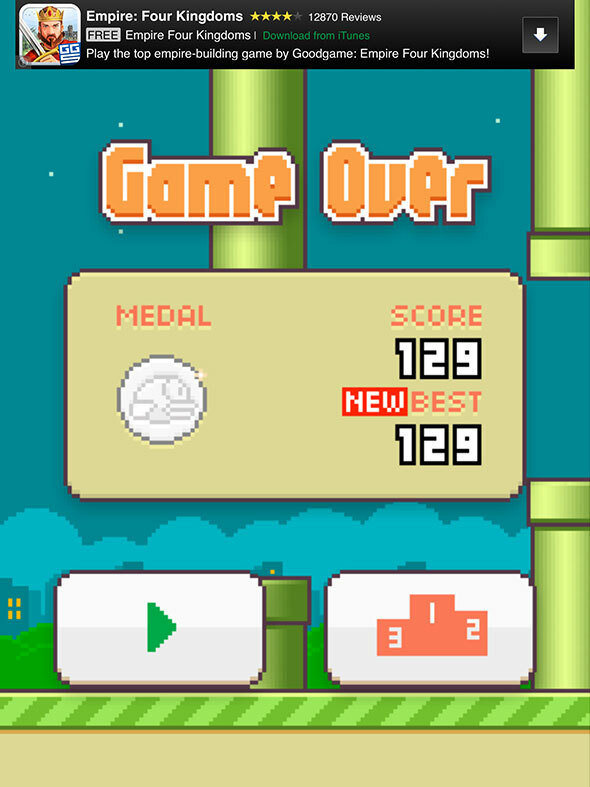 “Flappy Bird was designed to play in a few minutes when you are relaxed. But it happened to become an addictive product. I think it has become a problem. To solve that problem, it’s best to take down Flappy Bird. It’s gone forever,” Dong said. So, it happened that Dong took his game offline because it was too successful? According to reports, he was making around $50,000 a day from his creation! Dong went on to say that if any of his future games became as equally addictive, he'll pull them as well from the digital shelves, as the app apparently made him lose sleep. Infobuddie thinks Dong needs business tutorials from the Eastern part of Nigeria - the Igbos precisely!